Long John Silver's offers a different value deal for each day of the week with the new $1 Catch of the Day promotion. 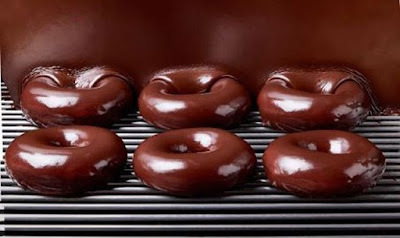 Krispy Kreme is bringing back Chocolate Glaze Donuts for one day on Saturday, July 7, 2018 in celebration of World Chocolate Day at participating locations. 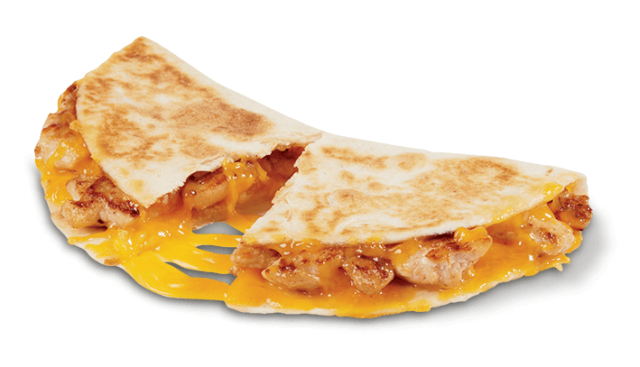 Del Taco adds to their value selection with the arrival of the new Chicken Quesadilla Snacker for $1. 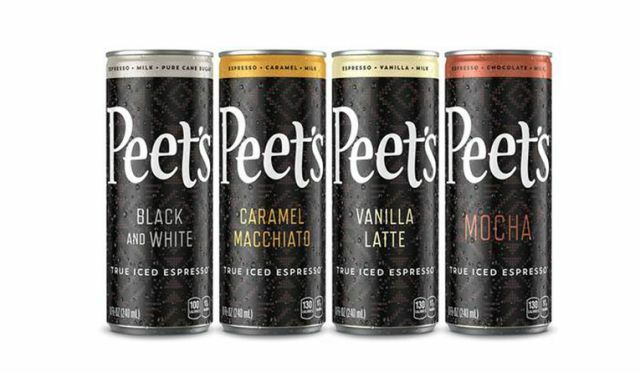 Peet's Coffee rolls out a new line of shelf-stable, ready-to-drink canned coffee line that they're calling "Peet's True Iced Espresso." 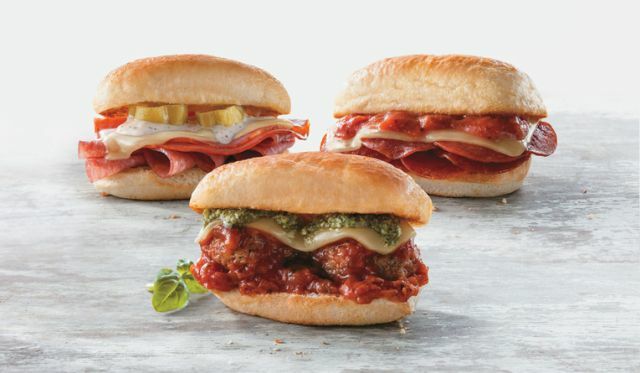 Fazoli's adds another way to enjoy their signature breadsticks with the debut of new Italian Breadstick Sliders as well as Pepperoni Pizza Breadsticks to make up the new Breadstick Snacks menu. 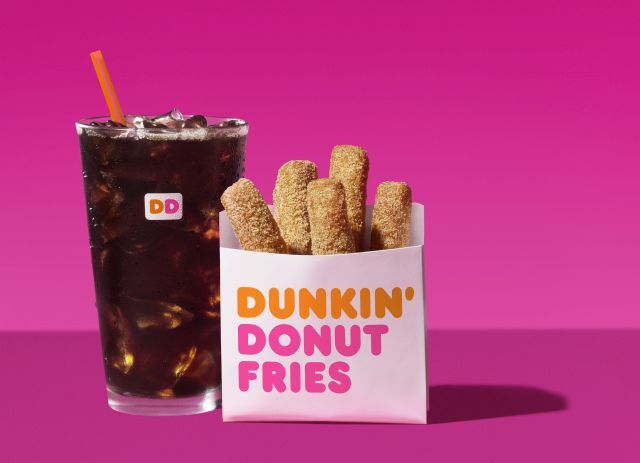 Dunkin' Donuts will be releasing new, limited-time Donut Fries all across the country at participating locations starting Monday, July 2, 2018. 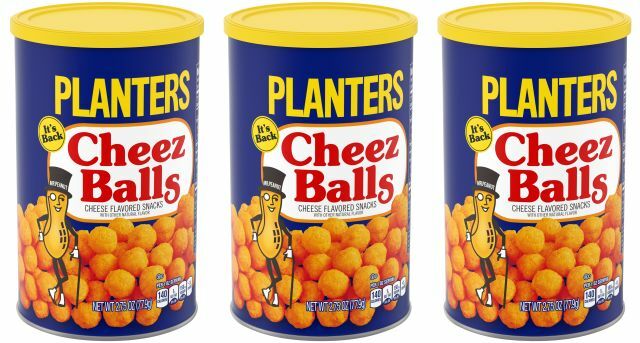 Planters is set to bring back cheese-flavored snacks in a canister with the return of Cheez Balls and Cheez Curls beginning in July 2018. 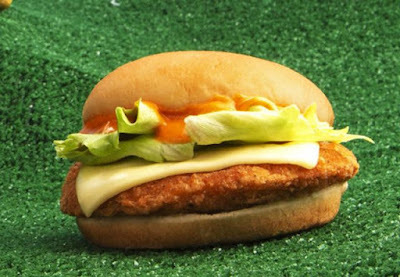 Wendy's adds to their value offerings with the introduction of the new Buffalo Ranch Crispy Chicken Sandwich for $1. 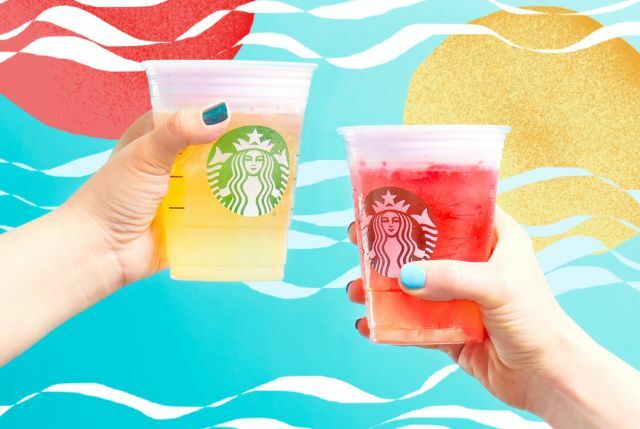 Starbucks launches new Cold Foam Tea Lemonades for a limited time this summer in the US and Canada. 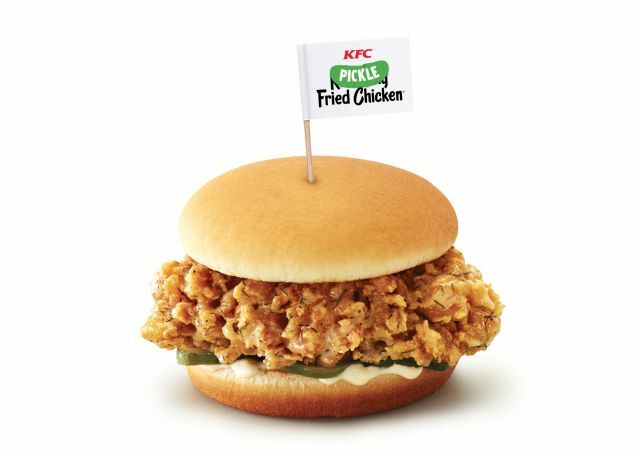 KFC's Pickle Fried Chicken Sandwich features an Extra Crispy chicken filet covered in new dill pickle sauce, which consists of dill and vinegar flavors along with notes of onion, garlic, buttermilk, and white and black pepper. 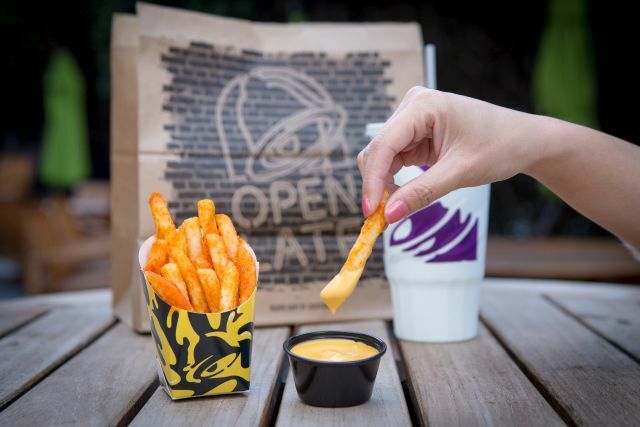 Nachos Fries are set to return to Taco Bell for a limited time starting July 12, 2018. 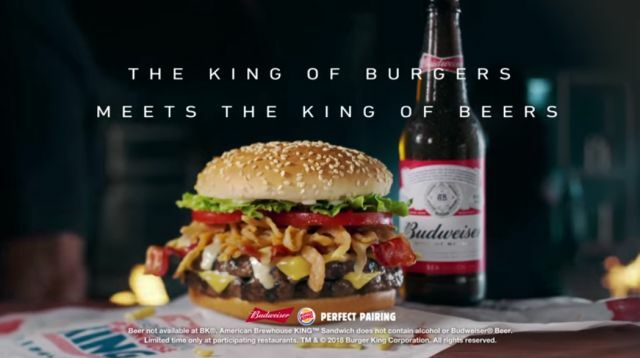 Burger King joins forces with Budweiser to give a summertime push to the new American Brewhouse King Burger. 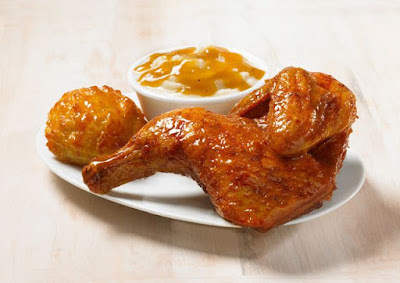 Church's Chicken adds a new dimension to their limited-time Smokehouse Chicken with the release of new Bourbon Black Pepper Smokehouse Chicken. 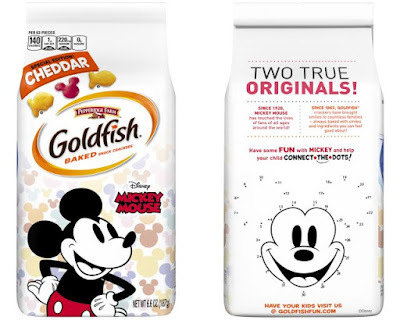 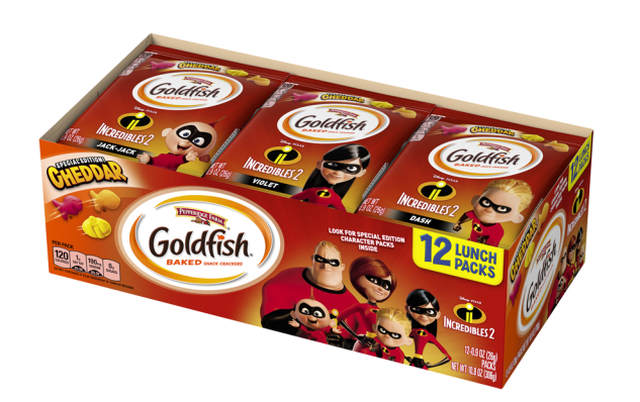 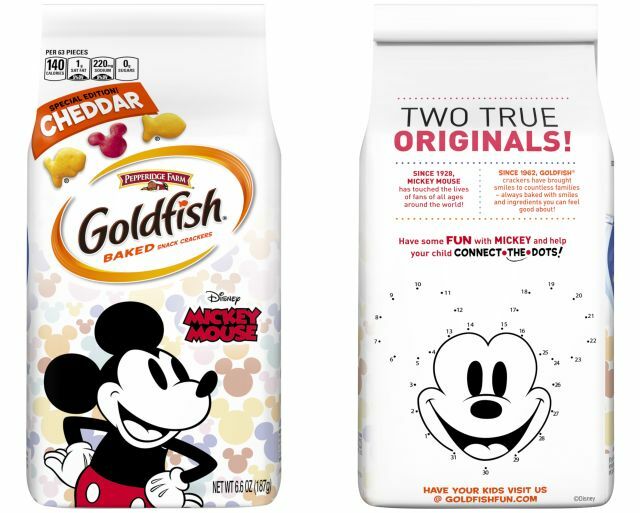 Pepperidge Farm has partnered with Disney Pixar to release new, limited-edition Incredibles 2 Goldfish crackers. 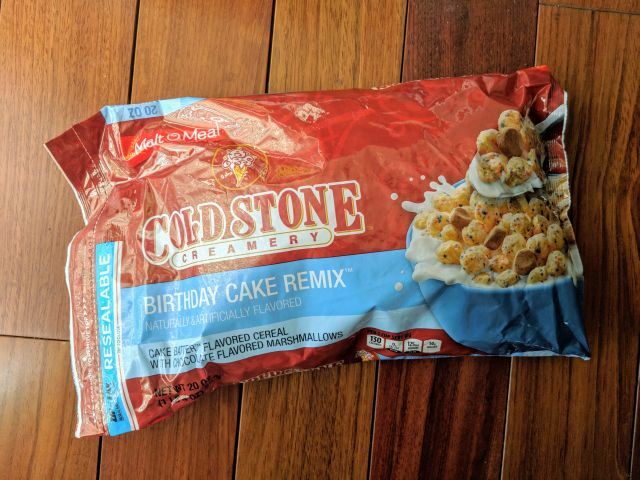 Malt-O-Meal's Cold Stone Creamery Birthday Cake Remix cereal features round, cake batter-flavored corn puff cereal with chocolate-flavored marshmallows. 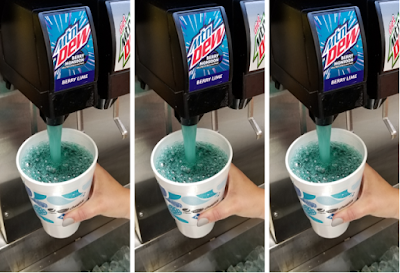 Sam's Club exclusively offers new Berry Monsoon Mountain Dew on tap at the drink fountains at their cafes. 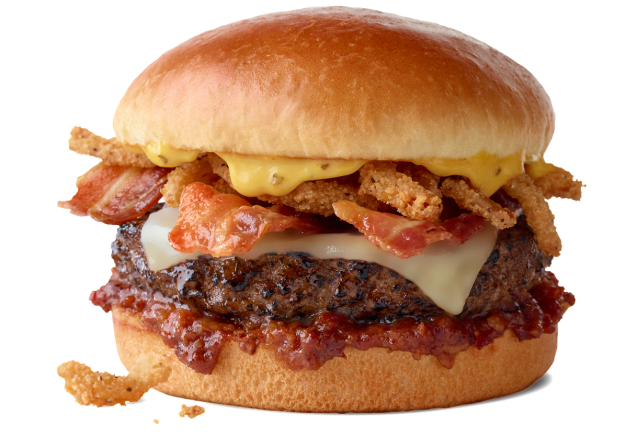 McDonald's debuts the new Bacon Smokehouse Burger as part of the chain's premium-end Signature Crafted Recipes menu. 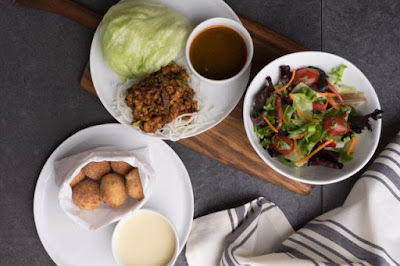 Pei Wei adds new Thai Donuts, which are basically Asian-inspired donut holes, this summer. 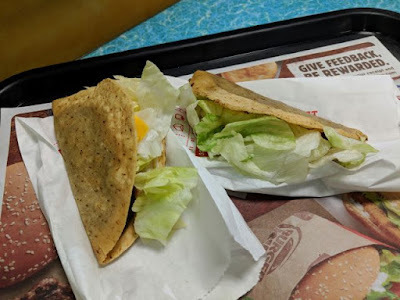 They also introduced two new small plates to the menu. 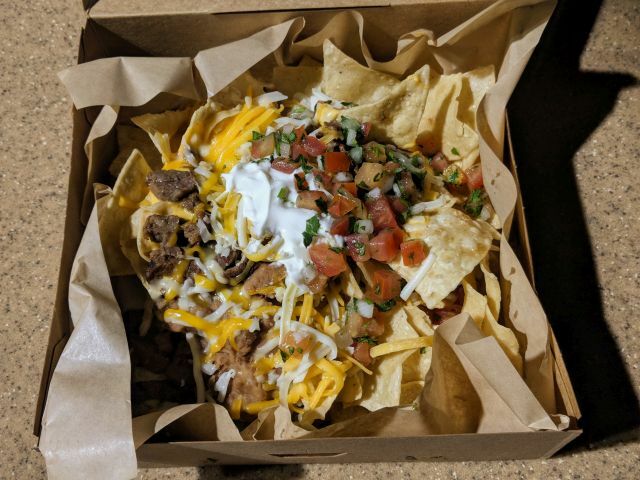 Taco Bell's $5 Steak Nachos Box is a limited-time combo that features the largest serving of nachos currently on the chain's menu (but not the largest serving of nachos that they've ever offered). 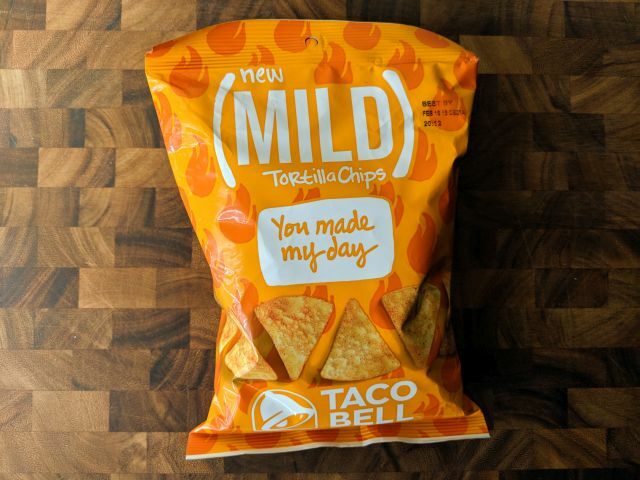 Taco Bell's new Mild Tortilla Chips features the taste of their Mild sauce on tortilla chips. 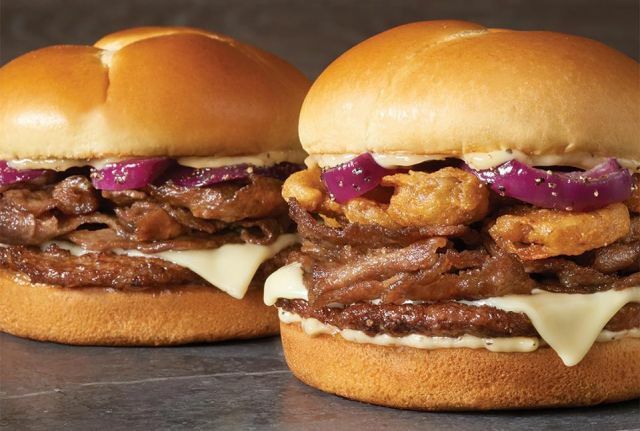 A new burger joint named "Creator" is set to open in San Francisco, CA and features a burger robot/machine that makes burgers from start to finish at $6 a pop. 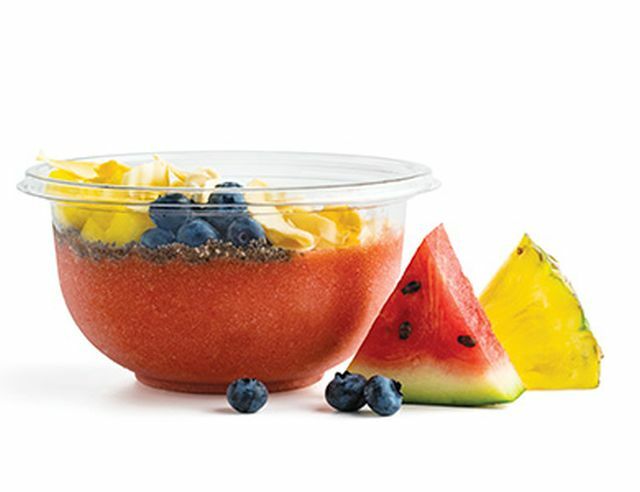 Jamba Juice looks to keep your thirst quenched this summer with the arrival of the new Watermelon Chia Restore Smoothie and Watermelon Hydration Bowl. 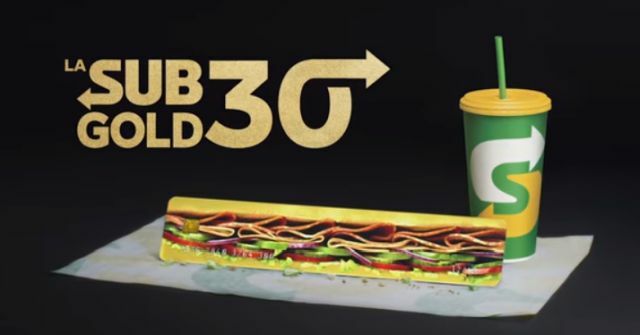 Subway France is running an interesting promotion where fans can win a 30-centimeter-long card good for free food at Subway for a year. 30 centimeters is the French equivalent of a Footlong sub here in the US, so it's basically a foot-long card that can net you a year's worth of Footlong subs. 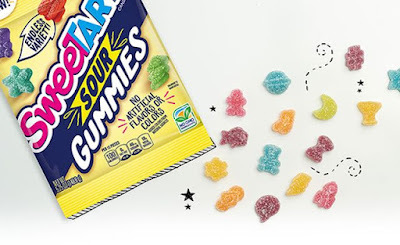 The SweeTarts candy brand branches into gummies with new SweeTarts Gummies and SweeTarts Sour Gummies. 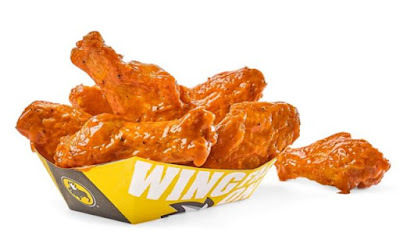 Looking to capitalize on this year's World Cup soccer tournament, Buffalo Wild Wings is running a few specials, including five traditional wings for $5, that are available for dine-in only during World Cup soccer games. 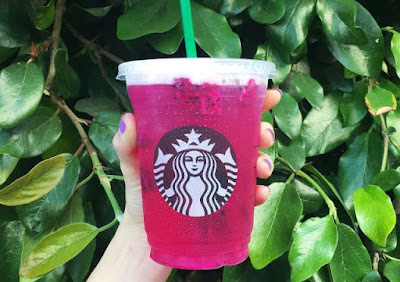 The new Mango Dragonfruit Starbucks Refreshers arrives as part of the chain's permanent menu and is touted one of their "Instagram-worthy" drinks. It looks like Burger King tacos are back in the Los Angeles market for a limited time at participating locations. 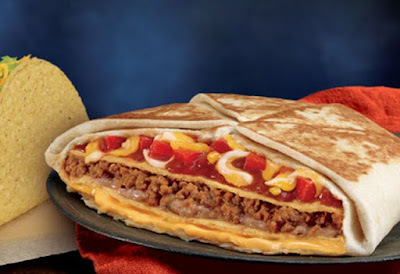 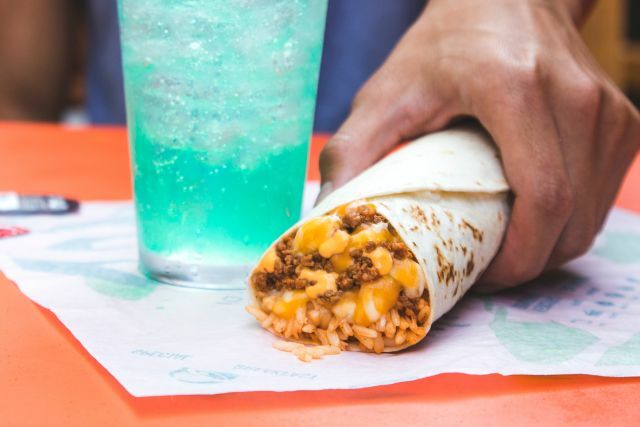 Combining two of their signature menu items, Taco Bell is testing the new Mexican Pizza Crunchwrap in the Oklahoma City, OK area. Citing inspiration from "classic summer desserts," Krispy Kreme reveals two new seasonal donuts this month: the new Strawberries & Kreme Donut and Banana Pudding Donut. 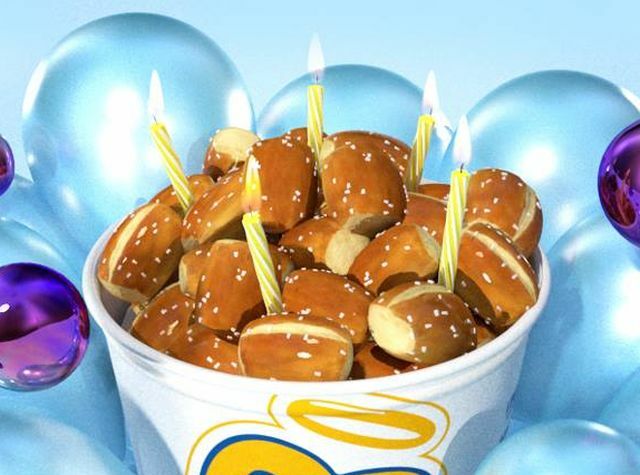 Auntie Anne's is again asking fans to pick a future pretzel flavor in the 2018 Pretzel Nation Creation promotion. This year they want you to vote on a birthday-inspired flavor from a group of ten. 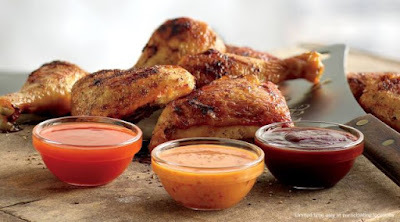 For a limited time, El Pollo Loco has added new dipping sauces for their signature flame-grilled chicken. They're calling the sauce and chicken combination, "Loco Kickin' Chicken." Golden Corral is running a nightly special where kids can get a dinner buffet and a drink for 99 cents with an adult buffet purchase. 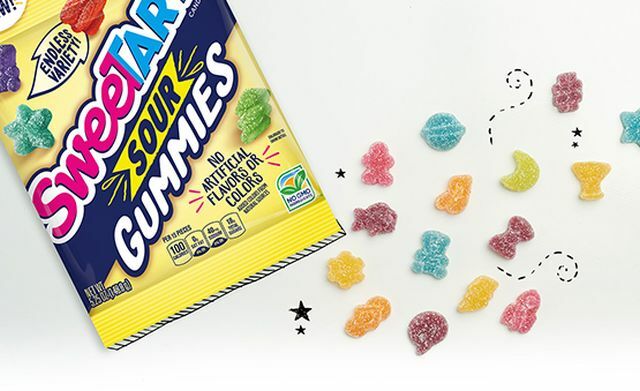 They're calling it the "99-cent Kids' Night, Every Night." 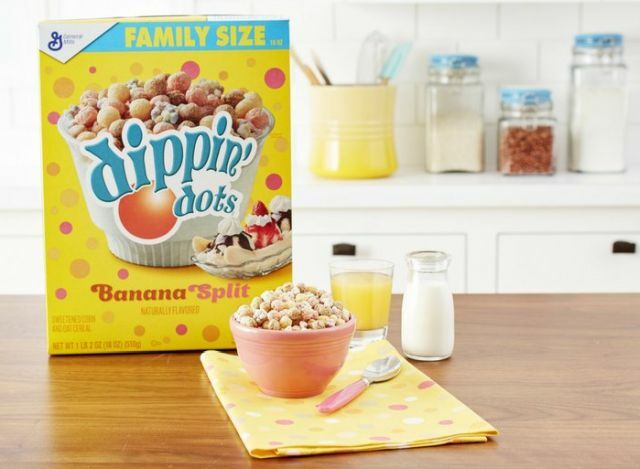 With summer being a prime time for eating ice cream, General Mills partners with Dippin' Dots to come up with new Dippin' Dots cereal. Taco Bell adds more value to the menu with the new $2 Duo deal where you can get a Triple Melt Burrito and a medium cup of Baja Blast (or any other fountain drink) for $2. KFC plans to release new Pickle Fried Chicken for a very limited-time starting Monday, June 25, 2018 at participating locations nationwide. 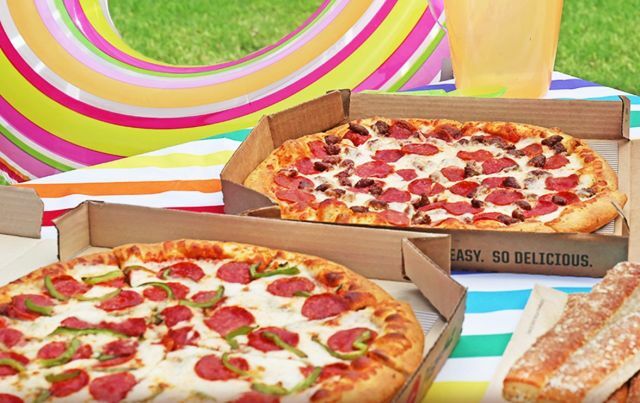 Pizza Hut is running a deal where you can get pick up a large two-topping pizza for $5.99 when ordering online. 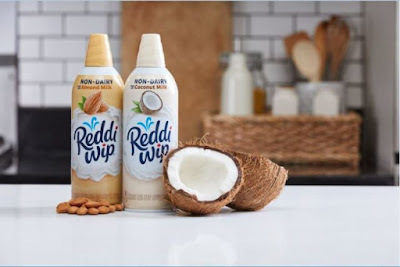 As customers look for more non-dairy options, Reddi-wip debuts new Non-Dairy Coconut and Non-Dairy Almond whipped toppings. 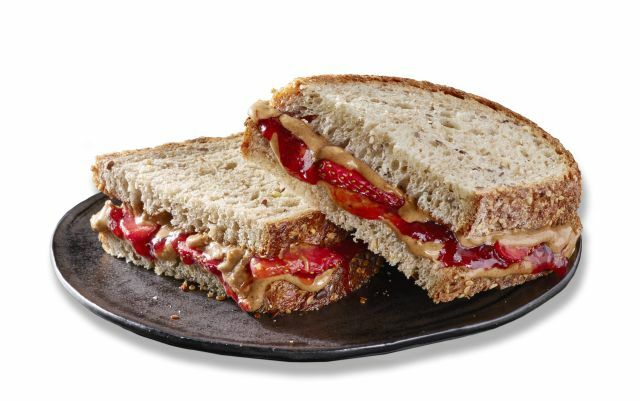 This month, Starbucks' new Mercato lunch menu arrives in the Los Angeles area. Ben & Jerry's Introduces Phish-Inspired "It's Ice... 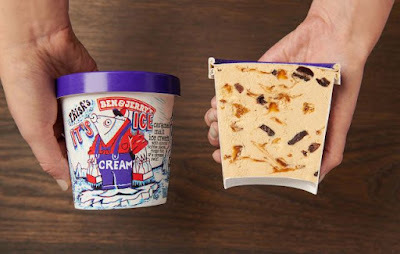 Cream"
Ben & Jerry's again partners with the band Phish to released new, limited-edition "It's Ice... 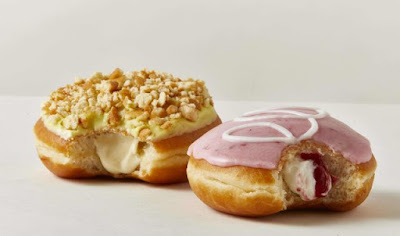 Cream" ice cream. 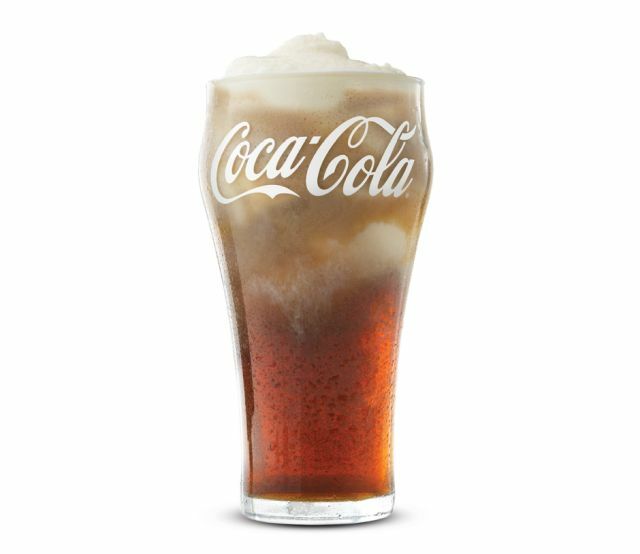 Arby's introduces the new Coke Float for a limited time to mark the chain's completion of a national switch from PepsiCo to Coca-Cola beverages. 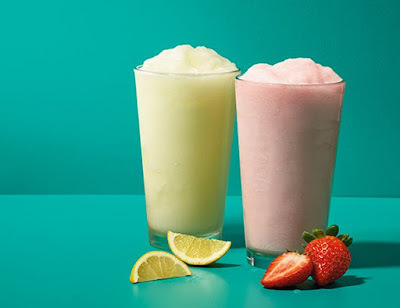 Dunkin' Donuts will be giving out free 3.5-oz samples of new Frozen Lemonade at participating locations nationwide on Thursday, June 21, 2018, from 10 AM to 2 PM, while supplies last. Checkers and Rally's put steak-topped burgers back on the menu with the return of the Crispy Mushroom Steak Burger and Philly Cheesesteak Burger for a limited time at participating locations. 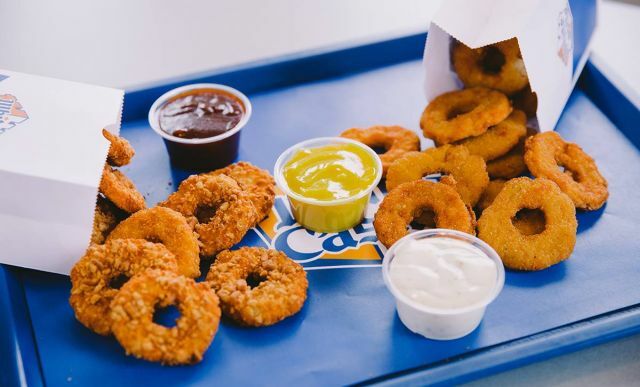 Along with bringing back the Strawberry Lemonade Smoothie, White Castle is running a few deals on Chicken Rings and Smoothies this summer. 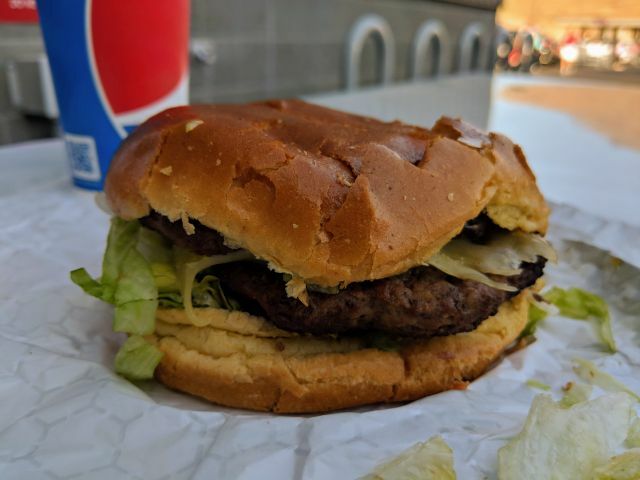 Costco's Cheeseburger is something they've been working in at least a few locations here in Southern California since last July. 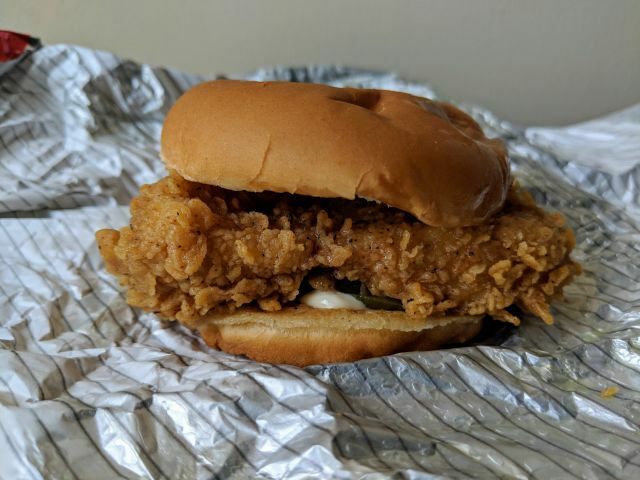 A new Costco recently opened nearby and offers the burger so I went to try it. 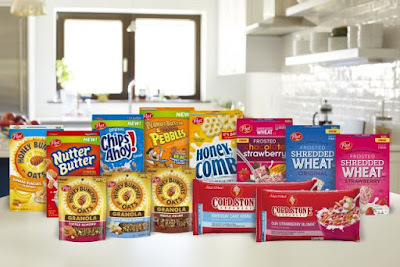 Several new cereals join the Post line up this summer including new Cold Stone Creamery ice cream-flavored cereal under the Post's Malt-O-Meal line of bagged cereals. 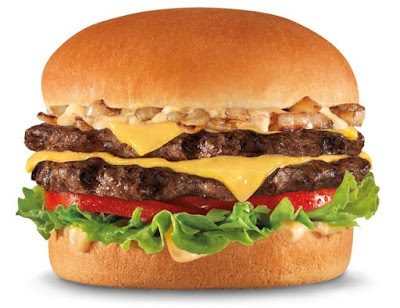 $4.99 California Classic Double Cheeseburger Combo is Back at Carl's Jr.
Carl's Jr. is once again offering the $4.99 California Classic Double Cheeseburger Combo for a limited time at participating locations. 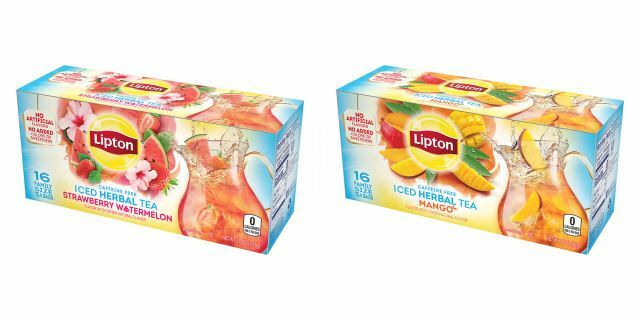 With summer in full swing, Lipton adds two new iced herbal teas in Strawberry Watermelon and Mango flavors. 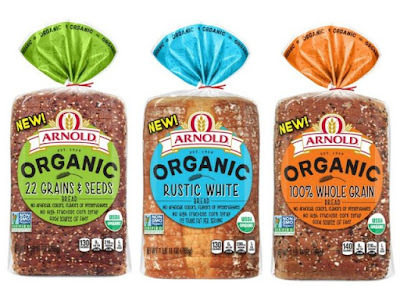 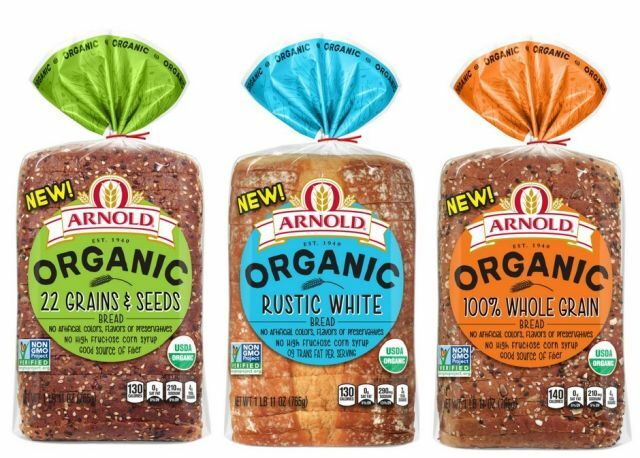 Bimbo Bakeries announces the nationwide launch of their new Organics brand line for their Arnold, Brownberry, and Oroweat brands. 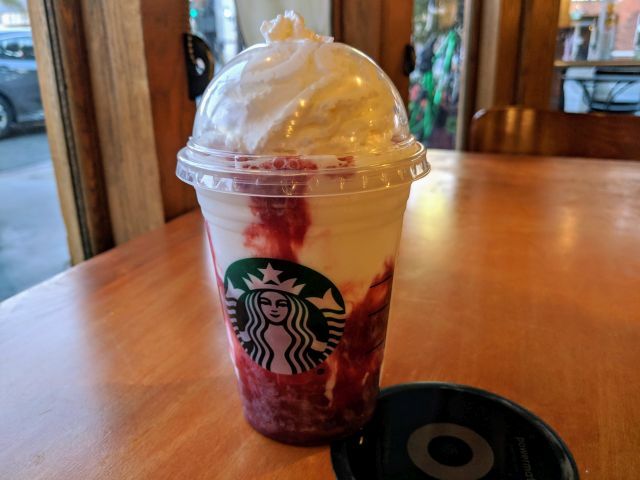 Starbucks' Serious Strawberry Frappuccino features a blend of a botanical strawberry-infusion blend, milk, and ice poured over a swirl of strawberry puree sauce and then topped with strawberry puree and vanilla whipped cream.